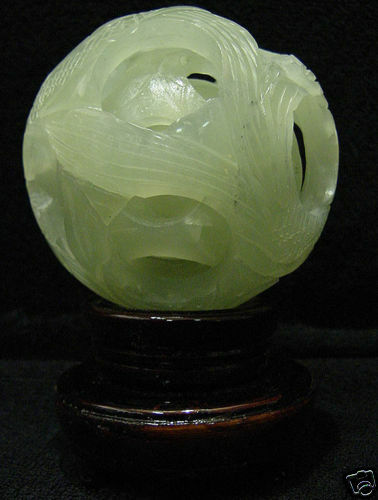 THIS WONDERFUL PIECE OF WORK IS MADE OF REAL JADE. 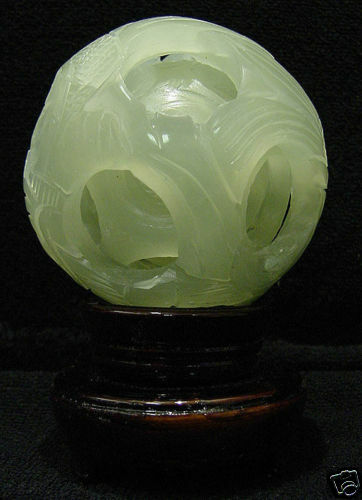 IN ONE PIECE OF SOLID JADE, WE CARVED IN A FEW LAYERS AND IT IS CARVED FROM INSIDE OUT. THE MOST INTERESTING PART OF THIS ITEM IS THAT ALL THE BALLS INSIDE IS MOVABLE INDIVIDUALLY.